Dining in an authentic Polish milk bar is a real blast from the past. Order your dish from the limited choice available (probably involving pierogi – dumplings in one form or another) at the first counter, grab a tray and pick up your meal at the next and pay at the final window. Then take your seat at one of the long sharing tables in the spartan, modestly decorated dining hall. Milk bars date back to Warsaw in 1896 but were particularly popular during the communist era because they allowed people on modest means to get a complete meal for little money – it wouldn’t necessarily be that tasty, but it would fill you up. In the main tourist areas of Krakow, these establishments have made a come back in recent years as an attraction for visitor. Yet with chicken, steak and other delicacies on the menu here you need to leave the old town to find a truly authentic one (the fact they are called milk bars highlights what was intended to be the main ingredient). 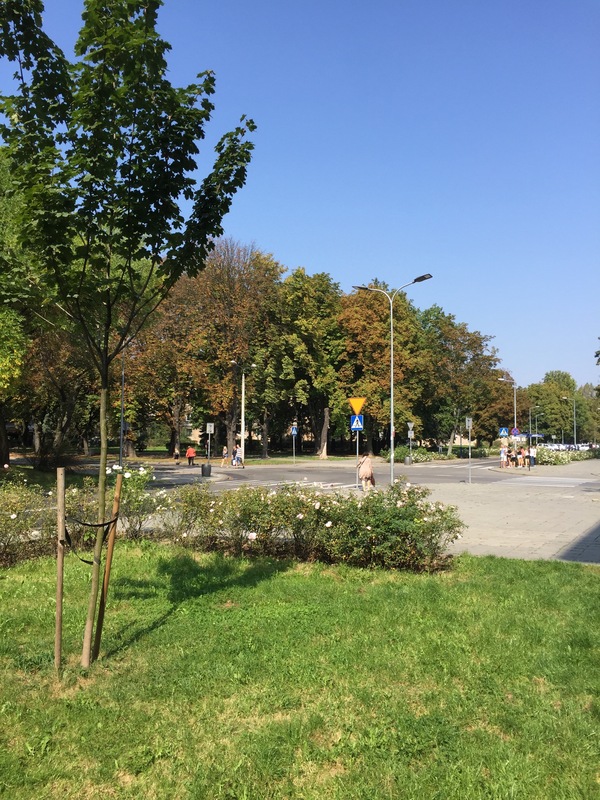 And so I headed to Nowa Huta, a 25 minute tram ride from central Krakow. In an establishment where little English was spoken, I took my chances with the food (the dumplings were pretty stodgy, but eatable) and sat down on one of the bench seats. It was mid day and the other patrons in the room were considerably older than me. I later found out that many people are on the ‘list’ for establishments like this for free meals, while even for those who had to pay like me the cost was less than £1. 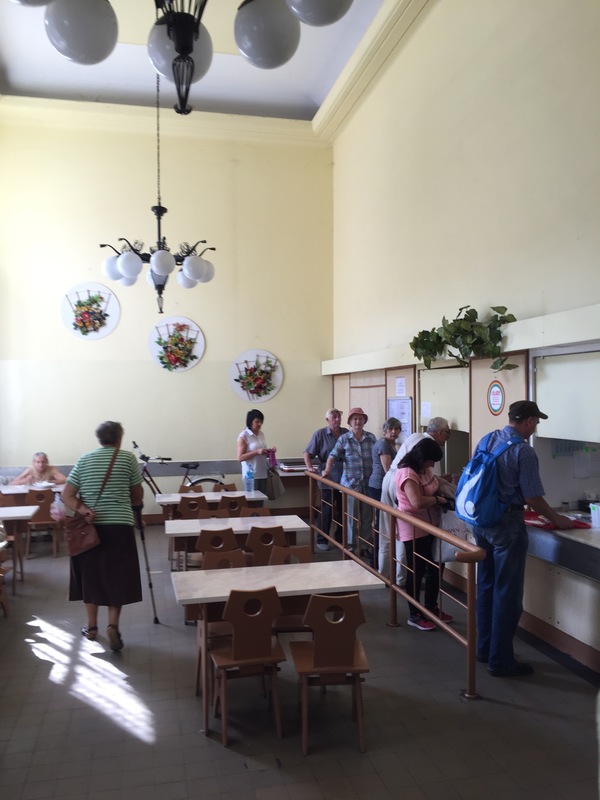 But I wasn’t just in Nowa Huta to sample its cuisine. The English translation ‘steel town’ gives a clue as to why it was Stalin, the Soviet leader, ordered its creation in 1949 – it was to be a planned factory town producing steel for the Red Army and at its peak the plant would employ 40,000 people working across three shifts (but with families of workers and those providing ancillary services there would be 100,000 inhabitants Nowa Huta). 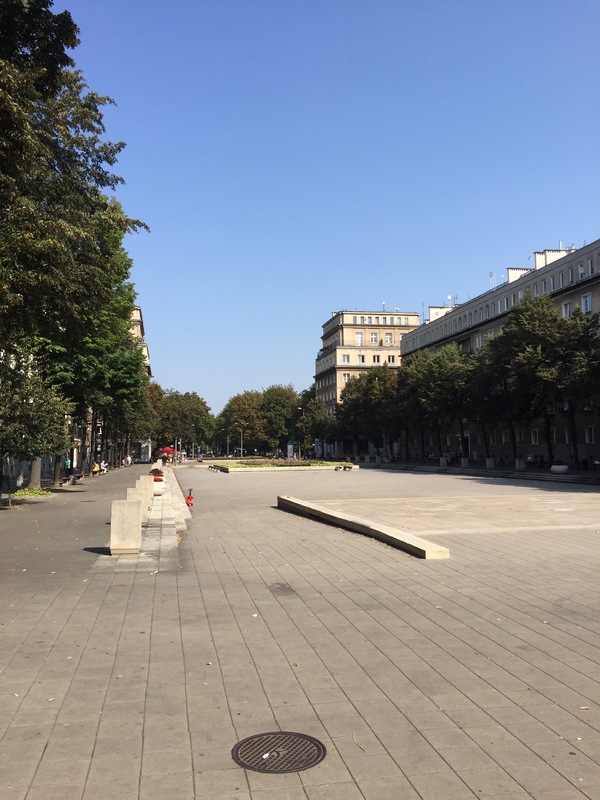 Nowa Huta was designed to be a model town (and would attract important visitors of the age such as Fidel Castro) and so far more effort was put into the design and symmetrical layout of the development than I’ve seen elsewhere in eastern Europe. If walking down the grand tree-lined avenues reminds you of Renaissance Italy, then the architects have done their job. Yes, the grey apartment blocks look pretty bleak in parts, but they are disguised by extensive greenery. On the face of it Nowa Huta seems a strange location to build a steelworks in that there was neither iron ore nor coal deposits in the vicinity (both vital components for producing steel), although there was a major water source in that Poland’s biggest river flows through a nearby valley. Given that two important raw materials needed to be transported some distance, why was it ordered that a steelworks was built here? Although no one can be precisely sure about the reason, some have said it was to punish right-wing, conservative Krakow that had opposed the Soviets’ rule in 1947. Nowa Huta did also benefit from Krakow’s expertise emerging from its engineering academy. 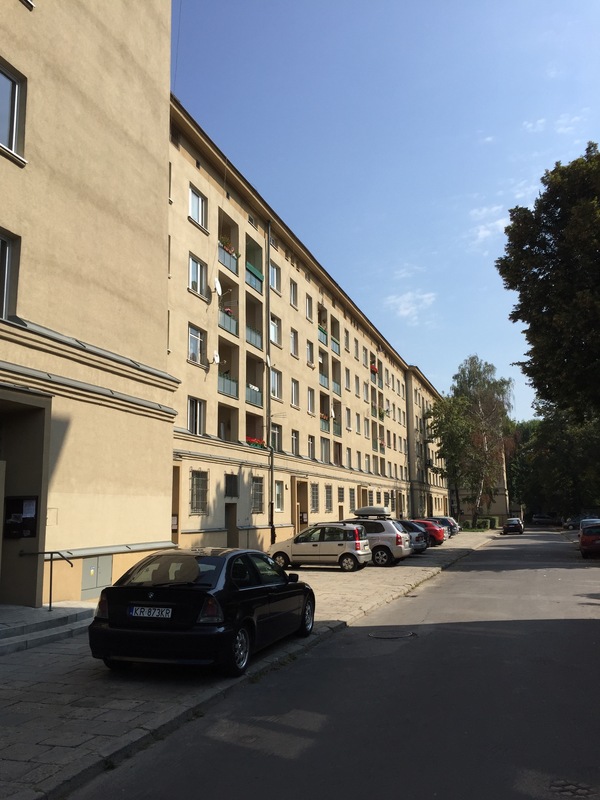 One of the major problems with the blueprint for Nowa Huta was that there were already people living on the land where it was intended that the development was built – there had been villages here since at least Medieval times. And so the existing inhabitants were told they would be given properties in the new town, but they themselves first needed to build their new homes (something they were given training for). In the communist era, homeownership elsewhere in the Soviet Union was pretty rare. 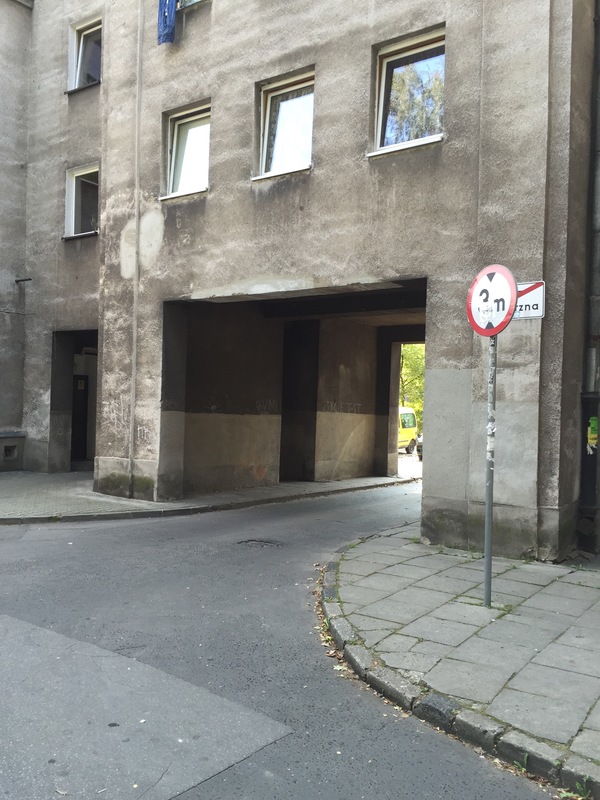 The designs for Nowa Huta intended for the town to be defendable by its residents, so apartment blocks were built like Medieval fortresses, with space for snipers in the ‘turrets’ and gateways into central courtyards that could be protected. 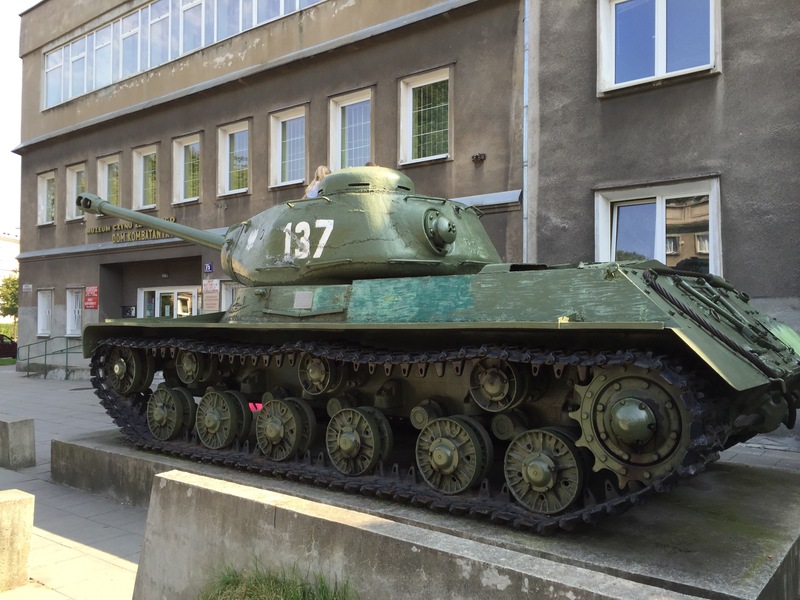 There is today a tank parked in the centre of Nowa Huta which children use as a climbing frame, but reminding us that it was the Red Army that called the shots. Other facilities, such as a theatre – which today boasts a cafe with a pleasant outdoor terrace for residents and the few visitors that venture this far from Krakow’s old town – have been added over the years. But one thing that the architects of Nowa Huta didn’t plan for was churches given that the communists were against religion. This didn’t deter the mainly Catholic inhabitants who held open air prayer meetings in unbuilt plots around the town. They were finally given land in 1957 and told they could build a church, but given many arguments with the authorities this never happened (until a chapel was built here in 1997 at least). 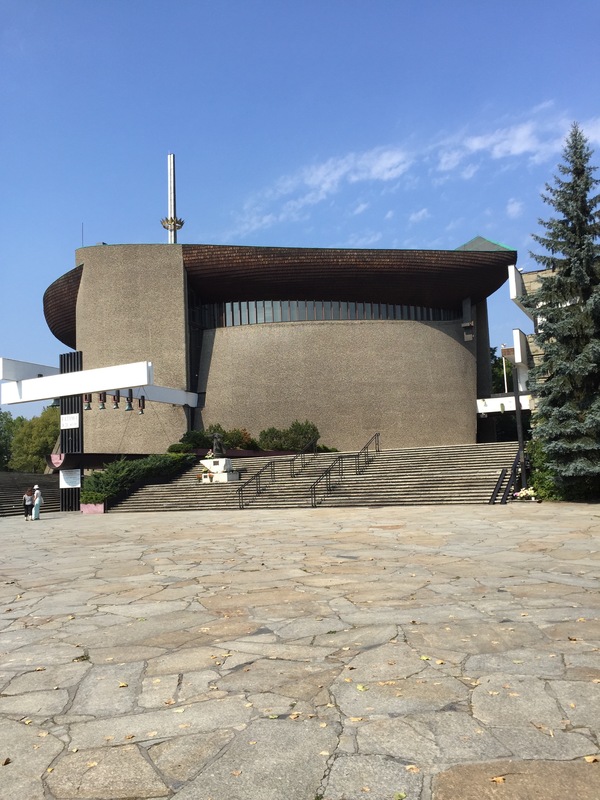 It was a further 10 years before building work could start elsewhere in Nowa Huta on the modern Lord’s Ark church, which was covered with pebbles apparently gathered by local school children. When the church’s consecration took place in 1967, the mass needed to be held outside given the crowds – some 70,000 turned out for the occasion (about 70% of people living in the town). With so many people supporting the Catholic church, it was clear there was little support for the communist party and in the years that followed tensions ensued with the military stationed in the town. Children were urged to head straight home from services because the worshippers would often be greeted by water cannon. Elsewhere in Krakow, the power of the Catholic church was illustrated by two million turning out for a mass held by Pope Paul II in 1979, the beginning of the end for communist rule in Poland. It was originally intended to name the Nowa Huta after Stalin – who actually died before the steelworks was operational – but as he was hated so much in Poland that plan was aborted. Lenin, his predecessor, was not that popular either, yet the town was dedicated to him. There were several attempts to burn down a giant statue of him in the the centre of Howa Huta as serious strikes hit the factory town, but it actually survived till 1989 when protestors used rope to pull it down. Black and white pictures show that these were placed around his neck to make it look like the Soviet leader was being strangled, something that was very important to the towns inhabitants given the misery they faced (they faced a shortage of food and other basic necessities). Today, the spot is marked by a bed of roses and the statue itself is in Sweden (it was bought by a millionare). And what of the steelworks – which look like from a distance like a Renaissance influenced castle that locals call “Doges Palace” or “the Vatican” – themselves? The complex apparently consists of hundreds of buildings, intricate pipelines and its own railway network. And some of the factory’s halls are said to be able to house Krakow’s Market Square a number of times over. Today, the plant is in private hands (owned by ArcelorMittal), but only 10% of the site is now used. Unfortunately only employees can pass through the gates and explore inside. With little work in Howa Huta, the town has been left in a depressed and helpless state in recent years. But some think the fact that the centre of Krakow can be reached by tram in less than 30 minutes means that one day the gentrifiers will arrive. Only time will tell whether in 10 years time tourists will head here from the old town in big numbers.